According to a report, Indians have registered an an impressive double-digit growth of 12.3 per cent in the last one year. This makes Indians the second largest group of International students in the US after China. New Delhi: According to a report, Indians have registered an an impressive double-digit growth of 12.3 per cent in the last one year. This makes Indians the second largest group of International students in the US after China. The report said that indian students contribute USD 6.5 billion to the country's economy. As per the data revealed by the annual Open Doors report of the Institute of International Education (IIE), in the academic year 2016-17, 186,267 students from India were studying in USA. India is the second leading place of origin for students heading to the US, and comprise 17.3 per cent of the total international students in the US. China, in the same academic year, registered a 6.8 per cent increase with a total of 350,755 students. The majority of Indian students studying in the US were enrolled at the graduate level, the report said. 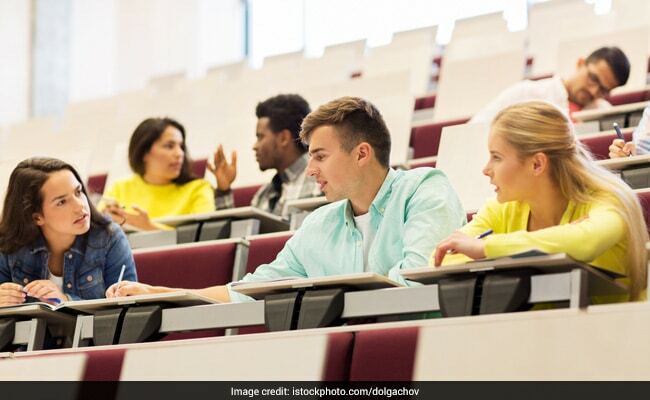 The report also added that in 2016-17, the breakdown of Indian students in US at various levels of education was: 11.8 per cent undergraduate; 56.3 per cent graduate students; 1.2 per cent other; and 30.7 per cent OPT (Optional Practical Training). The 2017 Open Doors Report on International Educational Exchange data released by the IIE and the Department of State Bureau of Educational and Cultural Affairs, also revealed that the number of International students had increased by 3 per cent in the US in comparison to the previous year. Also the number of American students studying in abroad increased by 4 per cent. In 2016-17, for the second consecutive year, US colleges and universities hosted more than one million international students, reaching a record high of 1.08 million. However, the number of new international students - those enrolled at a US institution for the first time in fall 2016 witnessed a 3 per cent decrease from previous year and the numbers fell by 10,000 students to about 291,000 students. Alyson L Grunder, Deputy Assistant Secretary of State for Policy in the Bureau of Educational and Cultural Affairs, said, "International student exchange is an essential contributor to America's economic competitiveness and national security." "The US higher education sector remains the global leader in welcoming students from around the world, and at the same time, we are committed to increasing opportunities to study abroad for Americans," she said. The IIE president and CEO Allan E Goodman said that countries and multinational employers around the world are competing to attract top talent. "As more countries become active hosts of international students and implement national strategies to attract them, the competition for top global talent in higher education and the workforce will only intensify," he said. He also said that a student's preference for high quality education and diverse opportunities is what drives them to colleges and universities in US. He pointed out that it was important for US institutions to set strategic goals and be proactive in reaching out to students and families in a wide range of countries in the coming year, and for the US to keep its academic doors open to students from all over the world. The top countries of origin for international students studying in the US include China, India, South Korea, Saudi Arabia, Canada, Vietnam, Taiwan, Japan, Mexico, and Brazil. The top host states for International students in US were California, New York, Texas, Massachusetts, Illinois, Pennsylvania, Florida, Ohio, Michigan, and Indiana. Each of these states saw increases in international students in 2016-17. The top host destinations were US students went for studying in 2015/16 were the United Kingdom, Italy, Spain, France and Germany. The number of American students studying in India dropped from 4,438 to 4,181 with India ranked at 15. According to the report, institutions had concerns about recruiting students from the Middle East and North Africa (76 per cent) likely due to adjustments in the Saudi Arabian government's scholarship programme and potential concerns about travel restrictions to the US. Recruiting concerns were also reported for: Asia, excluding China and India (73 per cent), China (71 per cent), and India (68 per cent). With two-thirds of all international students in the US from Asia, apprehensions are likely related to the fact that any shifts in student interest would significantly impact overall enrolment, it said. "Institutions reported they are continuing to prioritise international student outreach and recruitment in Asia, particularly China (67 per cent), Vietnam (51 per cent), and India (48 per cent)," the report said.